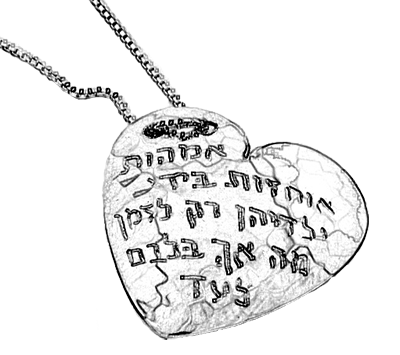 Sterling silver (925) hand made hammered domed pendant with Hebrew engraving. Chain included. Suitable Events - Bat Mitzvah, Bridesmaids gifts.